Website editor’s note: The text below has been sourced from a recent newsletter from the Australian Vaccination-skeptics Network which supports parental choice regarding vaccination. The organisation is organising screenings of the award winning documentary Sacrificial Virgins about HPV vaccination. Are you worried about the safety of HPV vaccines? Have you heard about this award-winning documentary? Would you like a chance to get answers from experts on HPV? Following on from the incredible success of last year’s tour of VaxXed, from Cover-Up to Catastrophe, the AVN is once again providing access to cutting edge vaccination information and answers from acknowledged experts on vaccination science and policy. Starting on August 2nd, this year, we will be taking the Sacrificial Virgins tour from the Sunshine Coast in QLD to Melbourne in Victoria. These 7 events are sure to sell out quickly, just as the VaxXed events did, so early ticket purchases are highly recommended. If you cannot attend (or even if you can), you can also help with a sponsorship – no matter how small – to assist the AVN in providing these sorts of high-quality events into the future. Click the venue links below to help sponsor this tour. Click the links below for full information and to book tickets and if you can share this on social media and by email, that would be very much appreciated! The Human Papilloma Vaccine (HPV) has been used worldwide for over 10 years now. Originally released as a method for preventing cervical cancer in women, its use has since been expanded to include young men and boys despite the fact that its effectiveness as a cancer preventative is medically unproven. Sacrificial Virgins – so named because the vaccine is often given to girls and boys before they become sexually active – exposes evidence from top scientists and medical professionals of serious neurological damage following HPV injections. It calls for the vaccine to be withdrawn in the hope that this will halt a growing global tragedy. This film has won awards at film festivals in several countries including the Brisbane Watchdog Film Festival and the Queens World Film Festival in New York, USA. Joan Shenton, Producer of Sacrificial Virgins, BBC Journalist and founder of Meditel Productions. 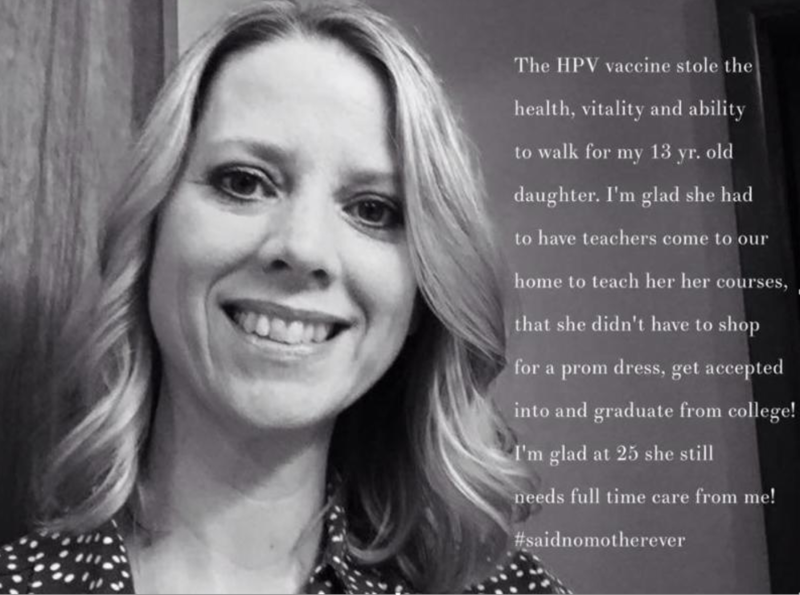 Ed note: A significant number of girls and young women have reported developing debilitating illnesses after HPV vaccination. There have also been HPV vaccine linked fatalities. In NZ the website ga-nz.com started by parents of daughters who had become ill following HPV vaccinations provides information about the vaccine. The NZ Journal of Natural Medicine is a quarterly magazine that covers a wide range of topics of interest to people who are interested in enjoying good health, including treatment and prevention options for many different conditions, with articles about vaccination featuring regularly. The Journal also includes information about nutrition, potentially harmful chemicals and unnecessary exposure to ionising and non ionising electromagnetic radiation.